NuMedica Foundation Essentials No Iron + CoQ10 + MCHC supports optimum bone health in specially designed daily dose packets. This powerful supplement contains daily doses of ingredients that enhance bone health. Bone loss is a gradual process that begins in adulthood. Bone loss occurs more rapidly as people reach age 50. 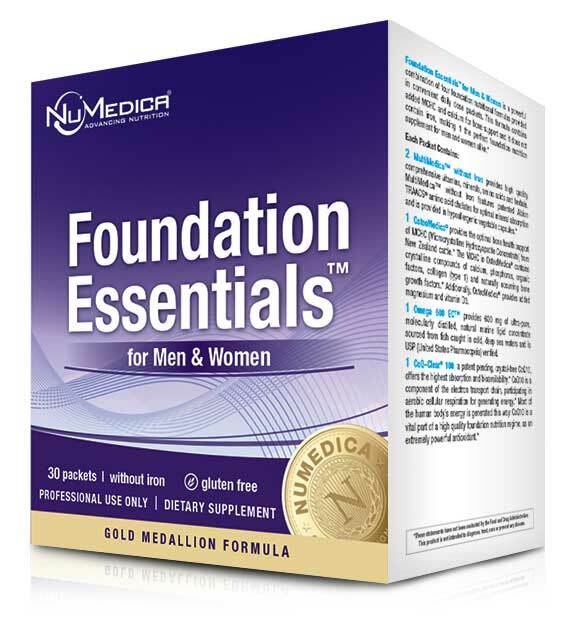 NuMedica Foundation Essentials + CoQ10 + MCHC provides the nutritional support people need to support bone growth and bone maintenance. 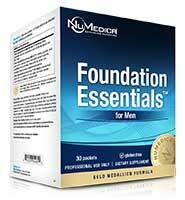 NuMedica Foundation Essentials + CoQ10 + MCHC comes in two sizes: 30 packets or 60 packets. The larger size last twice as long and offers a savings of about 10%. View additional product images. NuMedica OsteoMedica (Foundation Eseentials Women's version only) provides the optimal bone health support of MCHC (Microcrystalline Hydroxyapatite Concentrate) from New Zealand cattle. The MCHC in OsteoMedica contains crystalline compounds of calcium, phosphorus, organic factors, collagen (type 1) and naturally occurring bone growth factors. Additionally, OsteoMedica provides added magnesium and vitamin D3. Foundation Essentials No Iron + CoQ10 + MCHC - 30p 1 Packet 30 Take one packet 1-2 times daily or as directed by your healthcare practitioner. 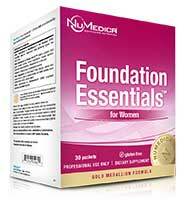 Foundation Essentials No Iron + CoQ10 + MCHC - 60p 1 Packet 60 Take one packet 1-2 times daily or as directed by your healthcare practitioner. MultiMedica™ without Iron: HPMC (vegetable capsule), rice flour and silica. Omega 600 EC™: Gelatin, glycerin, food glaze, ethylcellulose, enteric coating, mixed tocopherols. CoQ-Clear™ 100: Miglyol, natural food grade citrus oil, glycerin, purified water, red radish powder, carob extract concentrate, caramel liquid. OsteoMedica™: HPMC (vegetable capsule) and vegetable stearate. 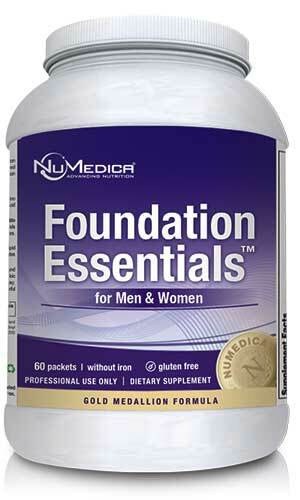 The packets in this container are labeled Foundation Nutrition without Iron.